Now that I'm no longer semi-anonymous with my finance blogging, I tend to have a lot of friends and random people asking me finance questions. I have people pouring what seems like their heart and soul to me because they really want to change and improve their situation. 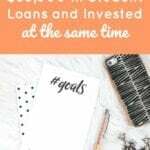 This is something that I love about being a personal finance blogger – the fact that I can (hopefully) help someone change their life and teach them how to manage their money better. Many of the questions I receive involve debt and what they can do to change their situation. Someone told me they had over $200,000 in student loan debt, another person recently told me they had over $100,000 in credit card debt, some are hiding their finance problems from their families, some have told me that they are beyond house poor and they don't know what to do. The list goes on and on about the stories that I have heard. 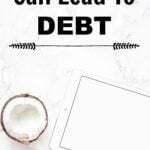 I think the first thing a person needs to do when it comes to eliminating their debt is to realize WHY they are in debt in the first place (the next step is to actively reduce your debt – read How To Eliminate Your Debt). If you don't know what your problem is, then it would be hard to make a positive change. Yes, it is great to just start attacking your debt, but you also don't want to fall into a vicious cycle of going into debt over and over again. 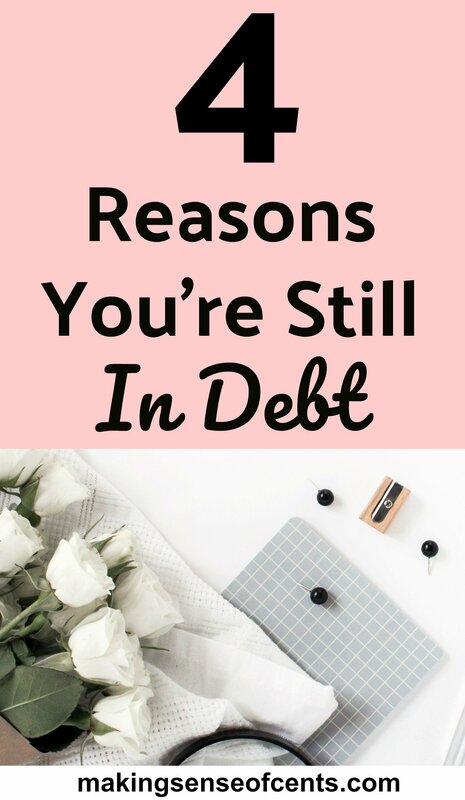 Here are some of the many reasons for why you may be in debt. You think you have plenty of time to pay off your debt. When I was in the middle of paying off my $40,000 worth of student loan debt, I remember being asked why I wanted to get rid of my student loan debt so quickly. You know the saying about how there is no such thing as a stupid question? Well, I thought that question was extremely stupid. I thought (and still think) it was probably the most stupid question I have ever been asked or heard. I can't remember the conversation exactly, but I remember them saying something about how I'm young and I should enjoy my money more and that I can worry about my student loans later. Why not just pay off your debt more? Would you really rather have than 100th pair of jeans instead of putting more towards your debt? I know for a fact that I will probably completely forget about an article of clothing (even though I love clothes!) and I will appreciate my debt being paid off more. It's been around seven months since I completely paid off my student loans, and I couldn't be happier! You also never know what may happen. If you wait to pay off your debt and instead spend your money on things that you don't need, you may fall into a bad situation. What would happen if you lost your job, came across high medical bills, or something else? Wouldn't you have wanted your debt to be gone? Your credit card is not a new income source. If you treat your credit card this way, then you should cancel your credit card. Oh well if closing your account means that you will be lowering your credit score, you are probably doing worse damage anyways by racking up large credit card bills that you can't pay. If you are using a credit card, then you should be working to pay off your balance completely each month. So-and-so has debt, so it's fine if you do too. Many people compare their debt amounts to others in hopes that they will feel more “normal” about their debt and not feel as bad. An example would be if you are 30 and the average 30-year-old has $10,000 worth of credit card debt (I completely just made that number up). You then use this number as a “guide” to yourself so that you can feel more comfortable about your debt. However, WHO CARES about how much debt another person has? How exactly does knowing what the average amount of debt a random 30-year-old has affect you? So, why would another person's amount of debt even matter to you? That makes no sense! Just because someone else has $10,000 worth of credit card debt from buying too much clothing does not mean that you should too. You never know, this amount may be breaking them on the inside even if they aren't showing it. Yes, you may be awesome and think you deserve it, but should you really be buying it? Just because someone else just bought a 100 inch 3D TV (or a mansion, nice car, gadgets, a crazy-expensive wedding, etc.) doesn't mean that you should as well. I recently talked to someone who has over $100,000 in credit card debt and I could tell they were in panic mode. They bought way too much house, way too much car, way too much everything. They thought they deserved it all since others were buying something similar. You don't need to keep up with the Joneses! TV. Cut your cable, satellite, etc. Even go as far to go without Netflix or Hulu. Buy a digital antenna (this is the one we have) and enjoy free TV. DIY certain projects. I recently did a post about DIY wedding ideas and whether they were worth it or not. Read it! Start a blog. 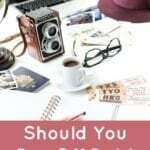 Blogging is how I make a living and just a few years ago I never thought it would be possible. I made over $320,000 last year by blogging and I’m hoping to double that in 2016. You can create your own blog here with my easy-to-use tutorial. You can start your blog for as low as $3.49 per month plus you get a free domain if you sign-up through my tutorial. Answer surveys. Survey companies I recommend include VIP Voice, Earning Station, American Consumer Opinion, ProOpinion, YouGov, Pinecone Research, Opinion Outpost, Survey Spot, and Harris Poll Online. They’re free to join and free to use! You get paid to answer surveys and to test products. It’s best to sign up for as many as you can as that way you can receive the most surveys and make the most money. Why are you in debt? What reasons have you caught yourself using? If you're feeling extra brave, please share how much debt you have (house, car, student loans, credit cards, etc.). I’m pleased to say that I have roughly $2 left on a credit card and then I’m DONE! Analyzing why I got into debt originally is tough but I’d probably say I spent too much time thinking I’d pay things off in the future. I lived in the now, but borrowed from the future to do it. What a fool I feel for that now (though hopefully I’ve learned my lesson). I am $68,000 in debt. This includes my student loans $54k, car loan $9k, and credit cards $5k. My credit cards will be paid off by April/May of 2015. Good job on having a plan to pay off your credit cards Mei. in total I have a little less than 45 k In debt that includes my house, student loans, and credit card debt. 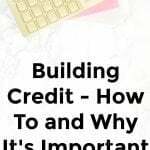 I only in the last year accused the mess of credit card debt in trying to build credit to buy my home… Now to forget I have them and stop using them! I’m sorry Lacy! I hope you get out of your debt soon. I believe for me, and for a lot of people its all association. I was really young when I went to university and I was always a saver, I had a decent amount of money saved, but took a line of credit “just in case” as recommended by my bank. I didn’t plan to use it, until all of my friends used it, partied and bough very useless things, so I fell into the same trap. Then when I graduated I followed everyone else and bought a new car, new things for my place (luckily was still renting). 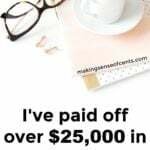 Until a little over a year ago when I met the most amazing couple who had their lives together and were debt free.. the association from them rubbed off and my fiance and I have paid off over 60k in debt in a year and a bit, and are so close to being totally debt free. I will never buy anything again unless its in cash, car, vacation or even a house. I dont want to fall back in that, I have no problem renting and dont want a mortgage. Everyone thinks I’m extreme, but renting is awesome, I have the freedom to pick up and go whenever I want, and if something breaks someone is there to instantly fix it. Sorry for the rambling but I am so passionate about this now! I have $35k in Student Loans, $13k out of 32k left on my auto loan and 9k in credit cards. I am slowly working to get this down by using a budget system but I don’t think it’s working to the extent I need it to. Always looking for ways to get out of debt! These are spot on! Believing that you have plenty of time to pay off your debt is a huge issue. I told someone that living with my parents and my brother at the age of 27 can be very stressful sometimes, and she told me I should move out and “just defer my student loan payments for a while.” Never mind the fact that my principal balance (which is already huge) would increase during that time due to interest. That’s a terrible idea. She said that’s what a lot of other people are doing. I don’t want to be like other people! I have a total of about 50K altogether and cannot seem to get it down cause I borrow from Paul to pay Peter everyday. Help!!! !